Notes: Quebecois waltz submitted as "Tune of the Week" in the "Playing Advice: Clawhammer and Old-Time Styles" forum for 7/27/2012. Written by Simon Riopel, learned from Lisa Ornstein. Key of A, banjo tuned aEAC#E. 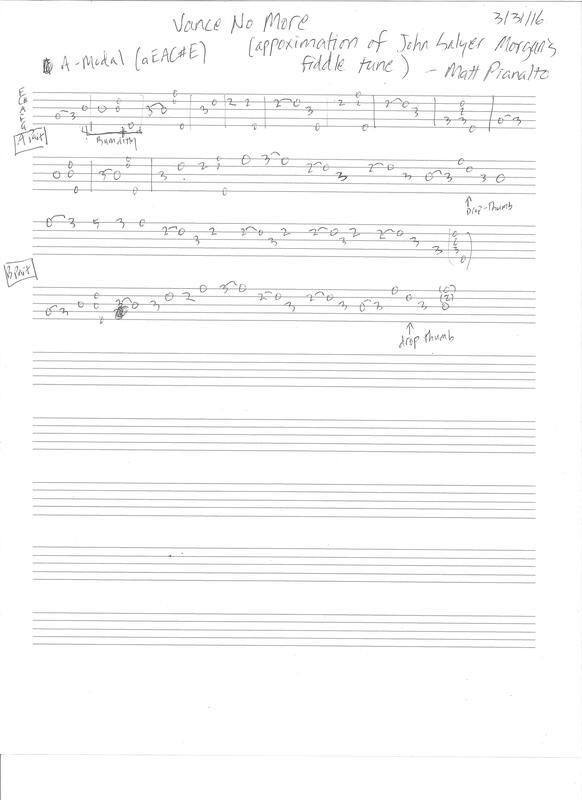 Notes: This is a really rough sketch of my work figuring out John Salyer Morgan's fiddling of "Vance No More." A couple people asked me to try this. (First attempt to transcribe.) I didn't suggest where to put the fifth string--use as you prefer, I suppose. I wasn't playing any melody notes on the 5th. Notes: From the title, I presume this superb tune in C was dedicated to the fiddle playing of the late great Vassar Clements. It was written by the brilliant mandolinist Anthony Hannigan. 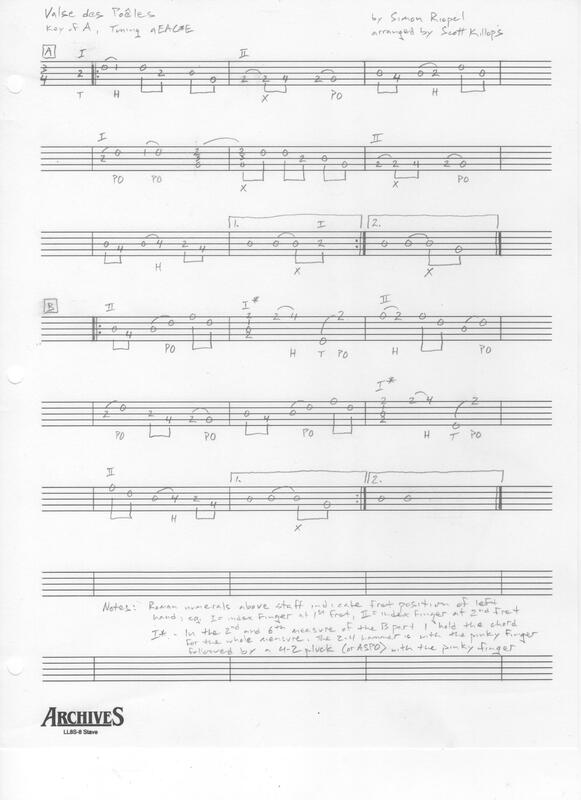 My arrangement for 3 finger style banjo is adapted from an excellent flatpick guitar tab by Mickey Abrahams from Flatpicking Guitar Magazine. It's tricky in places as it goes to places you might not expect, but it's a lot of fun, once you get your head round it! Notes: A Hungarian folk tune. Be aware of the changing between 4/4 and 2/4. Capo the 5th string up to A. Notes: This is an old traditional Swedish tune. The tune was notated by musicologists already 1907, and was made more known by the Swedish jazz pianist Jan Johansson in 1964. Notes: For OT TOTW 8 April 2016. This is an old traditional Swedish tune. The tune was notated by musicologists already 1907, and was made more known by the Swedish jazz pianist Jan Johansson in 1964.